When you find out you’re going to be a parent your life changes and there are so many important decisions to make. One of the most overwhelming feelings that every new parent will experience is the need to protect. This is an innate feeling that all people get when they are about to introduce a new baby to the world. Along this exciting journey, you will be planning a nursery. In the nursery it is very important to have a safe sleeping place for your baby. For example, picking the right baby cot that meets current safety guidelines. There are actual safety standards for what is safe when it comes to your baby’s sleeping arrangements. Every country has specific safety standards that are required and other standards that are suggested. Based on this I will cover the Australian Cot Safety Standards, so that all new mums and dads can feel safe about their choice of sleeping arrangements for their new bundles of joy. 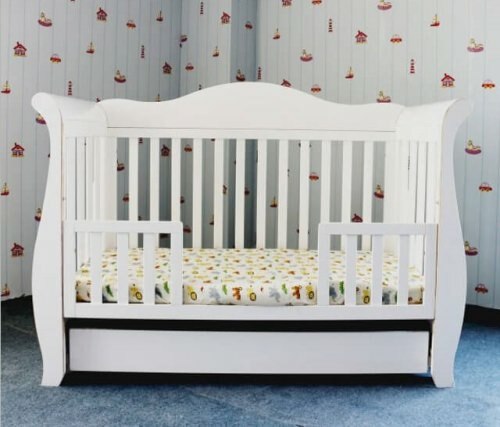 It is important to know the regulations that have been placed on cots for your baby. It can be comforting to know that the cot in your home is not the only one that is regulated. When you drop your baby off at daycare you can be happy to know that they are required to follow all the cot regulations for each cot in their possession. When you go on holiday it is comforting to know that the hotels and motels are required to follow the Australian standards. One thing that every person needs to be aware of is when selling or purchasing a second hand cot, it must be within the cot regulations. The Royal Sleigh Cot not only complies with the current safety standards it also can provide you with a sleeping space for several years to come as it converts to a toddler bed. It is important to note that not all baby cots/carriers that you purchase will be regulated by the same standards. Please Note: The above list is only a guide, some portable travel cots do meet current safety standards, but it is always important to check before purchasing. It is important to know the cots standard safety requirements so that you can feel confident that your baby has a safe place to sleep. Construction of the cots need to be designed so that they are unable to be tampered with by the child inside the cot. Specific dimensions are required for any cot sold under these regulations. These dimensions include consideration for the depth and the spacing of the cot. The guides that are on the cot must be firmly affixed and allow the free movement of the drop side. Each cot must have a fastening system that requires two simultaneous actions to access the cot. The cot cannot have any sharp edges, no part of the cot can overhang more than 5mm. All of the cot must be designed so that no clothing can be caught. The above cot standards can seem complicated and overwhelming to any new parents. However, no need to worry as there is lots of information on-line for parents to access. It is important parent’s are aware of those cots not within safety standards. However, if you are purchasing a brand new cot, they should be marked with an information label to acknowledge that the cot has been inspected and meets current safety standards. 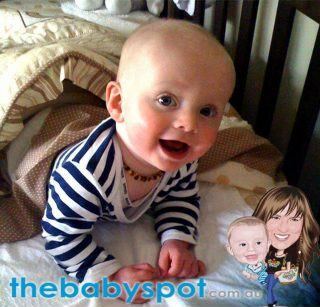 Baby Nursery, Baby Sleep Baby Cot Regulations Australia, Baby Cot Standards, Picking the right Baby Cot. permalink.